(CBS) - As we get ready for the Halloween weekend, we'd like to take a look at a classic trick that is sure to be a real treat for you. For a Halloween Prank we dressed up a 4 foot dummy to look like a trick or treater complete with bag of candy (and a hidden microphone). 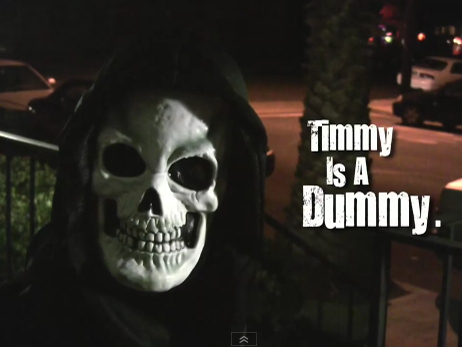 Then we went door to door with our fake "Timmy" to see what kind of reactions we would get. I've got to give them props for a clever and safe way to play a scary trick on Halloween night! And if you're looking for more Halloween fun, definitely be sure to check out our slideshow below.